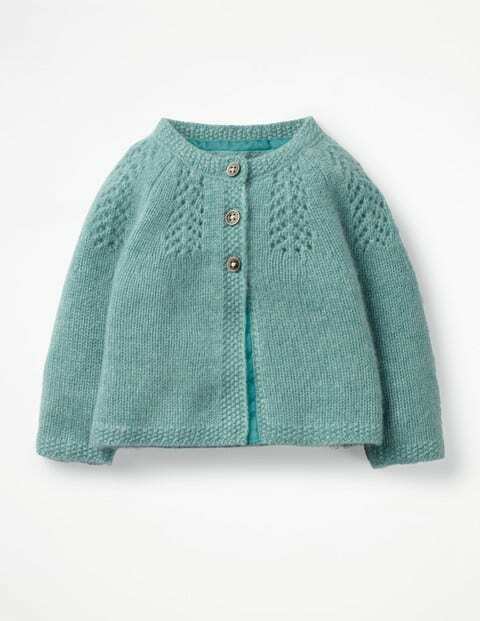 There’s nothing quite like 100% cashmere for tiny ones – especially when it’s machine washable (because, obviously). The contrast velvet placket makes this piece ideal if you’re dressing baby for a special occasion, while the three-button closure and round neck mean it’s easy to layer over any outfit. This special piece is expertly designed in Britain and comes in a sweet presentation box – ideal for gifting.